Created by Pradeep, this model is extremely thin, it keeps the trademark Sony Xperia metallic button and comes with a 5.2 inch 2K display with very slim bezel. From what we’ve heard so far, this handset will feature a Snapdragon 800 processor and a 20.7 megapixel camera with Sony G Lens, just like the Xperia Z1 and Z1 Compact. It will also run Android 4.4 KitKat and feature a waterproof body, so nothing we’re not used to. I frankly wish Sony would give up the glass back, since it attracts a lot of dust, hairs and grease. Also, while it’s supposed to be resilient, I’ve heard it actually cracks quite easily. 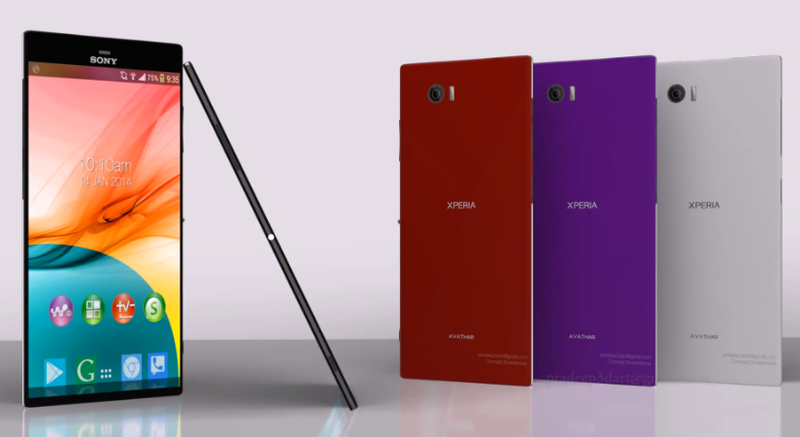 Maybe go with metal this time, especially since the Xperia Z1 gets VERY hot.